After Air Jordan 15 failed to make the start that its creators had hoped for, the future of the entire series of Air Jordan became uncertain. 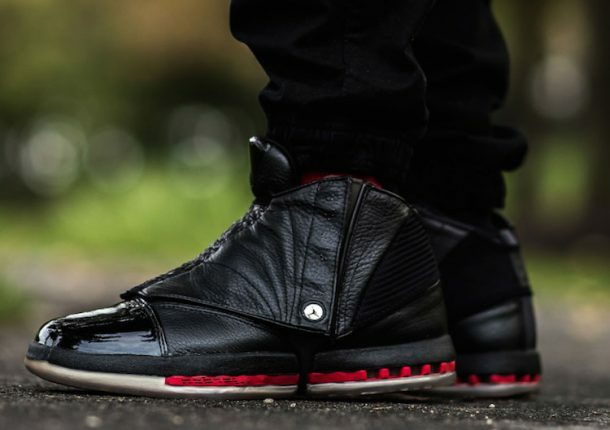 Not that it wasn’t uncertain with the two models before the 16, but Air Jordan 16 came with a heightened sense of insecurity. 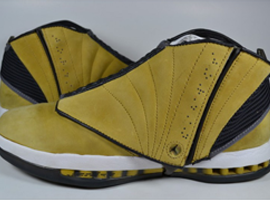 Jordan 14s had died a premature death, sadly at the hands of Michael Jordan himself, who didn’t wear it throughout the season, and Jordan 15 couldn’t attract a large number of customers. Now, the sense of uncertainty was on its height. Nobody believed that the series could stay alive and reproducing after Jordan’s retirement, but the Air Jordan range was too stubborn to give up. Air Line 16 was one such stubborn attempt to stay alive. 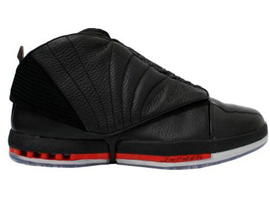 But the odds stacked against the Jordan 16 were even bigger. 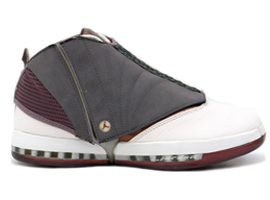 Now, the genius godfather of the Air Jordan J series design, Hatfield, was not there. In his place, it was Wilson Smith, Nike’s Senior Footwear Designer, who had to do it. He cleverly retained the best parts of Hatfield’s design and introduced innovations of his own. 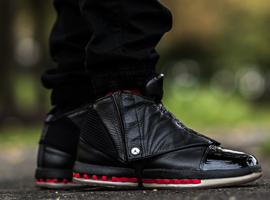 He gave the Air Jordan 16 a gaiter/shroud —something no previous Jordan family model had. This served two purposes: first, it looked really cool; second, it had thermal functionality. 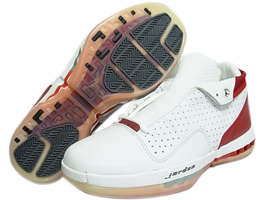 In addition to the gaiter/shroud , Smith introduced lather patent and a mesh-infused paper into the shoes. And all these combinations and innovations worked! 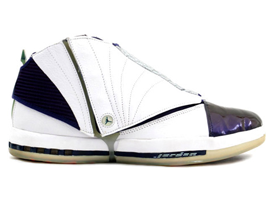 The Air Jordan 16 were taken to the NBA hardwood by Ray Allen, Mike Bibby, Reggie Miller, Darius Milles, Michael Finley, and Quentin Richardson. When all’s said and done, this was the first model of the Air Jordan that didn’t have to be worn on the NBA hardwood to attract customers. Quite the contrary. 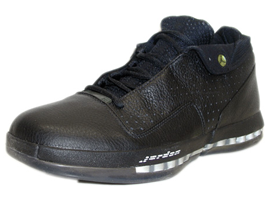 It was the first in the Jordan series that made it to the NBA hardwood because it had already sold. Thankfully, it was priced fairly at $160.